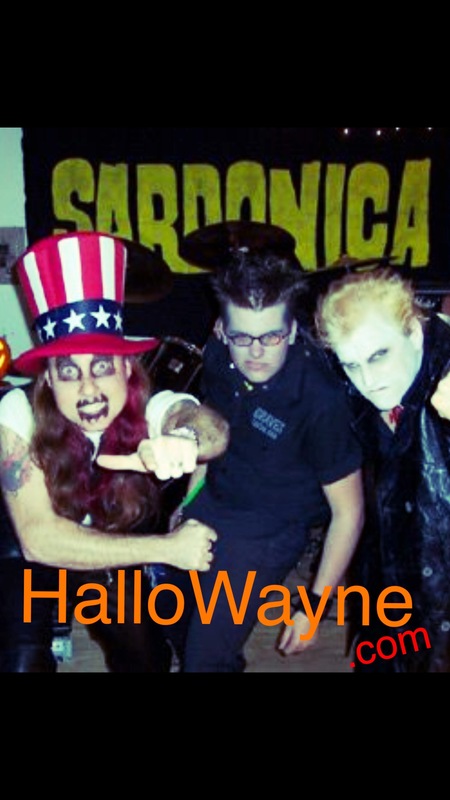 Me, Bob Bloodfeast & Dr. Chud of the World Famous Misfits playing Hallowayne 2001 Concert w/ Sardonica & Graves @ Pittston Waynes World Music Building. Best concert in Pittston EVER! Greetings!! Wayne Sorbelli here here of Island Guitar Key West & •Way rs World Music NEPA. I found this photo and had to share it as it is full great memories and me and anyone who sees it for. The Hallowayen yearly comcerts were the begging on many of the area bands – some bands are still around- some went on to become bigger bigger and moved beyond NEPA clubs to come back as music Heros (Aaron Bruch and Chad Zeiliga too name just a few. The pic above is me with Bob Bloodfeast & Dr. Chud of the World Famous Misfits playing Hallowayne 2001 Concert w/ Sardonica at The Pittston Waynes World Music Building. To leagues of zombie Pittston kids this was and will always be one of the Best concert in Pittston Pennsylvania – EVER!